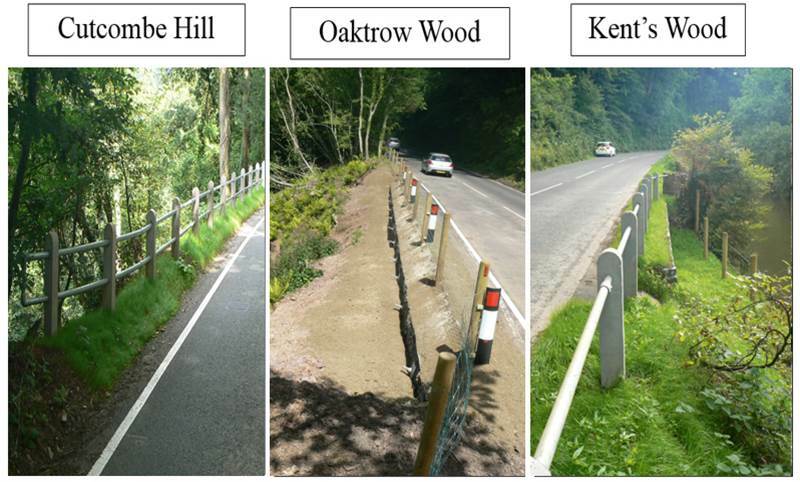 An innovative scheme to stabilise a key Exmoor road after three major landslips has been shortlisted for a top engineering award. 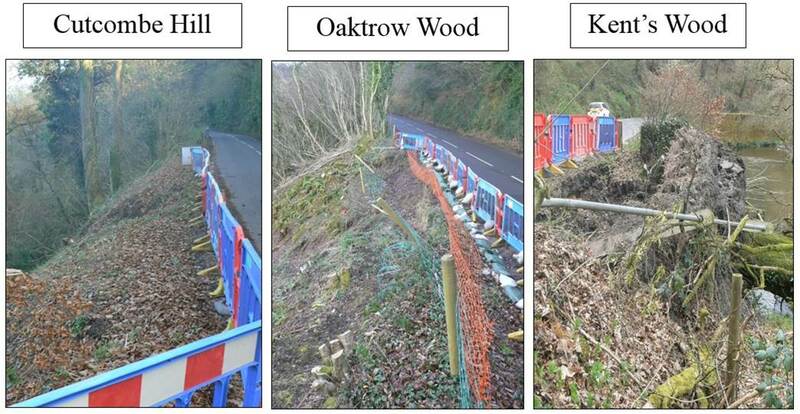 Somerset County Council faced a tricky challenge in late 2014 following two landslips on the A396 at Cutcombe Hill and Oaktrow Wood. There are few alternative routes in this remote part of West Somerset and a solution was needed where the road could be kept open to traffic, despite narrow road widths and steep embankments. Crestmoor Construction were contracted to develop a design and build engineering scheme which would keep disruption to a minimum. 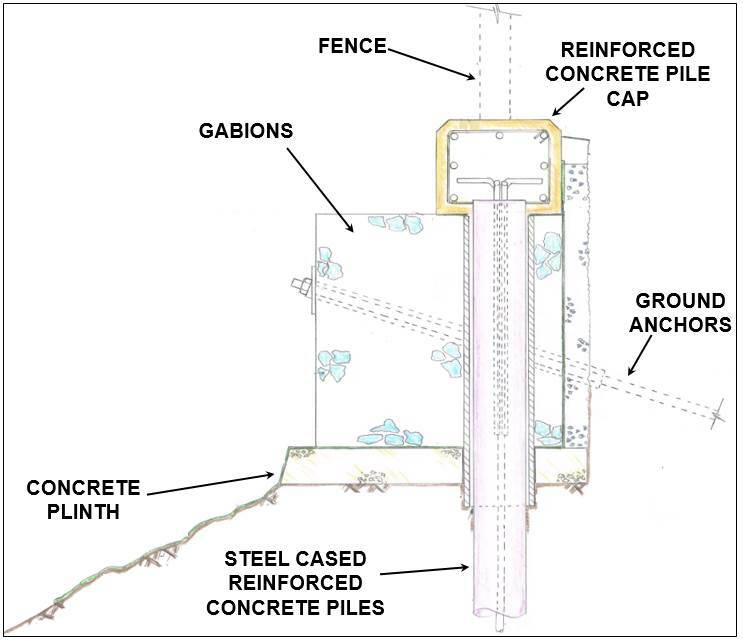 The innovative design included gabion baskets supported by both piles and rock anchors. Work continued on all three sites simultaneously and the overall stabilisation scheme was completed in June 2015 – without the need for any road closures. This feat has now been recognised by the Institution of Civil Engineers (ICE) who have shortlisted the scheme in the Projects Under £1million category at the 2016 South West Civil Engineering Awards. The project is also one of 30 schemes in the running for the ICE South West People’s Choice Award – chosen by members of the public. Cllr David Fothergill, Somerset County Council’s Cabinet Member for Highways and Transport, said: “This was a very challenging and complex scheme and it’s wonderful to be recognised by the industry experts who know a thing or two about engineering. The winners will be revealed at a special ceremony in Plymouth on 7 July and presented with their awards by ICE President, Sir John Armitt CBE. To cast your vote in the People’s Choice Award and be in with a chance of winning a Sony DSCH300 Digital Camera, visit: https://www.ice.org.uk/near-you/uk/south-west/awards/civil-engineering-awards.